Dry Ice blasting, also called CO2 blasting, dry ice cleaning, and environmentally sustainable cleaning is the process of shooting tiny particles of dry ice in a high-pressure stream at a surface that needs to be cleaned. When people think of dry ice, they envision learning about science concepts or special effects for Halloween or movies, but there is more to dry ice than that. One of the least known uses of dry ice is actually in cleaning. Dry Ice blasting, also called CO2 blasting, dry ice cleaning, and environmentally sustainable cleaning is the process of shooting tiny particles of dry ice in a high-pressure stream at a surface that needs to be cleaned. It is a highly effective cleaning method with lots of great benefits. 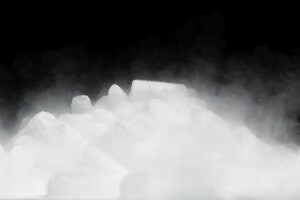 Dry ice, or CO2, is non-flammable, non-corrosive, non-abrasive, and nonconductive. All of this means that it is the perfect substance to use to blast dirt and debris off of specialty equipment. Other materials used in blast cleanings, like sand or plastic beads are very hard. They work by scrubbing away the debris, but they can also abrade the surface. This can be a problem for specialized equipment since it is often very finely tuned. CO2 isn’t hard, and it cleans by creating tiny explosions on the surface when they hit. This force cleans the surface without causing any damage and without interfering with electrical or mechanical operations. Since it’s not real ice, there is no worry of water damage to the equipment. While dry ice should never be eaten by people or animals, using it as a cleaner is considered food safe. This is because there is no chemical residue left behind. Once the cleaning process is done, all of the solid CO2 has sublimated into gaseous CO2. The same factors that make it food safe also make it a great environmental choice. There are no residue or secondary contaminants that have to be washed down the drains. This method of cleaning works as well as any chemical cleaner without the downsides. Dry ice blasting cleans so well that it is approved for cleaning medical equipment as well. It can clean everything from oils to biofilm off of equipment, leaving the materials decontaminated and ready for use. CO2 blasting can be used for any size equipment, and be used to clean in any opening or crevice. Since dry ice can fit into the tiny cracks, there is no need to disassemble the equipment. This means that the cleaning process can take less time so that you can get back to work. This entry was posted on Friday, April 12th, 2019	at 11:57 AM	and is filed under Many Uses of Dry Ice	. You can follow any responses to this entry through the RSS 2.0	feed. Both comments and pings are currently closed.